The platform primarily focuses on user friendliness and a good user experience and targets to relieve the access to cryptotrading for newcomers. Especially the initial buying of popular blockchain currencies like Bitcoin, Ethereum, Ripple, Dash, which are made through so called fiat gateways, is provided by the established exchanges (Coinbase, Kraken, Bitstamp, GDax, Bitfinex) in a centralized way. This implicates that, on the one hand trading fees are very high and dictated by those providers. But on the other hand, and a fact that is imho much more severe, the private key for the trading wallet is not managed by the user - it is stored centrally by the exchange provider. A fact, that is contrary to the original approach of decentralization. Furthermore, this means - if such a provider faces a security issue - all customers are potentially at risk. Blockport takes a different path using a hybrid, decentralized archicture with the goal for version 3.0, that all private keys (PK) are completely controlled and held by the user. The increasing amount of scams and hacks, like recently occured to MyEtherWallet point out, that it is essential to focus on the security from the beginning of a (blockchain) project. For this reason i will shortly introduce, how blockport invests in this topics to provide for security and why this is crucial. The platform and the team established a three-staged process-model to counteract security risks. By offers like blockport, especially with the focus to be an exchange for first-time users, the amount of novices, who start to engage with the crypto sector, will increase. The point is, that those often don't have a deeper knowlegde about crypto or security at all - and it is here, that one can see the danger. Beneath current security mechanism standards like two factor authentication and regulatory aspects (KYC - know you customer), blockport will provide best practices and guidelines to deal safely with the platform. Because they say - security starts and ends with the user itself, and i agree totally. It strongly recommended to stay sceptic, especially when you're en route in the crypto sector. Don't forget it's your money and your data! Additionally, the launch of version 3.0 with the transition of the private key ownage to the users will push more autonomy into the system. This, imho, increases even more the necessity of guidelines of secure handling. Even before the go-live, the security of the blockport application is focused and invests are done. 100% security is not possible, but preventing activities, monitoring and detection strategies were worked out in cooperation with leading companies and projects in this sector. This helps reducing the risks, detect issues and at least migitate the impacts of incidents. This is a fact, that imho, some exchanges actually disregarded - nowadays it is definitely not sufficient, just store password encrypted, above all when the using application is vulnerable to attacks from the outside or existing hacks are not detected for days or even weeks. Not least a lot of threats arise through leaks from within the organization - blockport counters this with internal trainings, employee screenings and a separe risk department which takes care of internal audits to prevent such events. Now let's have a close look, how bitcoin can be bought from scratch using blockport. Subsequently we prerequisite, that both account creation and verification of the customer (KYC) successfully passed. Particularly within the field of identity management, projects like Selfkey and Civic will ease the process dramatically. At first we need some money on our trading wallet - therefore a deposit of a fiat currency (currently supported: euro) is necessary. 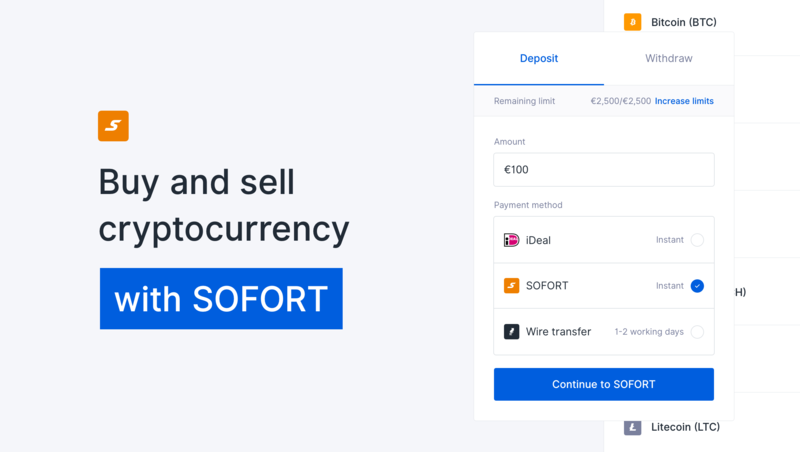 Thanks to the support of iDeal and SOFORT, the transaction can be executed immediately and without delay, which is a big advantage to other exchanges. Classic wire transfer is supported as well, but needs 1-2 workdays to proceed. Other exchanges also provide instant availability - but only via credit card - which produces additional fees. I'm agile - what about mobile support? Of course, blockport provides a mobile app like Lykke or Coinbase, which is as easy to use. Let's talk about fees baby! What can actually be traded right now? The BPT is an ERC20 based utility token, which can be used within the platform for trading and social activities. In practice, this means you can use it to lower the transaction fees. Analog to binance, charges can be paid using BPT, which reduces the cost and helps separating the tracking of fee and actual trade. Blockport focusses to ease the entrance to crypto trading in combination with social interaction, which is currently a unique selling point on the market. Especially the possibility to orientate on the portfolio of experienced traders is a plus for newcomers in the sector. On the other hand based on gaining BPT-token while sharing the knowledge is an incentive for the "old hands". As with every exchange project it is essential, to generate an adequate amount of trading volume to induce the use of the platform and to provide attractive prices. To get the social aspect to be an factor of success of the platform, a sufficent amount of experienced traders need to be around which are willing to share their portfolio and thereby their knowledge. This could be stimulated by referal programs and public advertising using the common channels. With this combination features and the strategic approach of user experience, blockport has the chance to gain mass popularity. DISCLAIMER: like it is common for all projects in the cryptospace - do your own research, try it and form your own opinion! The application to the blockport beta is currently running and restricted to 500 users. A scorebased system is used to determine the top 500 - points are issued for various social actions (follows on twitter, facebook, youtube, posts, referrals). Additionally the top 100 will get a BPT airdrop, the top 50 will get further goodies - so participation pays off! Congratulations @qb3! You received a personal award!